We ask that you provide us with your full name, City or Area you are located in, and phone number and an active e-mail address (if you have one)....... I will not post the ad with just an email address. We reserve the right to refuse or limit ads, and MWW.com accepts no responsibility for any transactions. We ask that you include your name and address .... I won't necessarily include them in the ad. YOUR AD HERE ..... FREE ... All Are Welcome ! Maple Burls from Sweet Home Oregon 1.00 a lb 300 to 1000 lb and up crates affordable trucking. 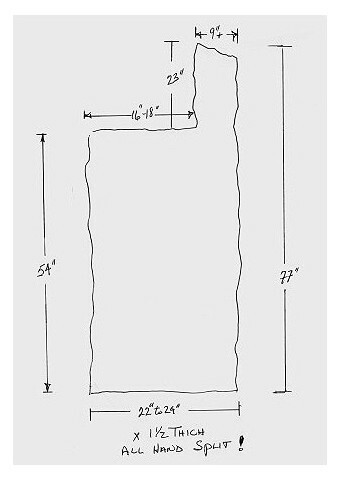 Large dimension Mendocino County flitches-3-4 ft long, by 15-30 in wide x >8 inches thick. Prefer laurel/bay/pepperwood, tan oak, nutmeg, cypress, madrone, cedar--appropriate for sculpture--minimum rot, knots or curly grain. Bob at spies.b@gmail.com (707) 937-6212. Wanted 8/4, quarter sawn, old growth Sitka Spruce for musical instruments. At least 14" wide and 19" long. Heart pine small sharecropper's home near Supply, NC interested in selling this at a Best Offer, will need to tear down, this home. Contact Vince @620-343-5161 or email: nuhusker@sbcglobal.net Supply, NC is located between Wilmington, NC and Myrtle Beach, SC. I am looking to buy redwood, cedar, maple, madrone, sycamore and doug fir logs by the truck load. I have my own log trucks so we would pick it up anywhere in the Northern California area. Will consider any amount and sizes of logs. We have new shipment of Cherry Lumber 4/4 8' 10' 12' We also have 8/4 8' 10' 12' All lumber graded FAS. We can deliver 1000 bd ft or more. We are not a lumber yard just a guy who likes Cherry. Please call or e-mail Tom for prices you will be pleasantly surprised. Phone # 707-822-7094 or e-mail in Arcata CA. I have aprx 15 hemlock logs that have been under water for upwards of 100 years. They are aprx 20+" across by 18 ft long. They are coming out of the water looking like the day they went in. Some with some bark still on. In Central NY. Make an offer. Richard Risley 3153698425 or E-mail. We have in stock, a large number of Western Yew logs, ranging in diameters of 24" to 7"; 10' to 13' long. Many are fluted and over a 100 years old. Wishing to sell the logs uncut into lumber. Western madrone for sale. 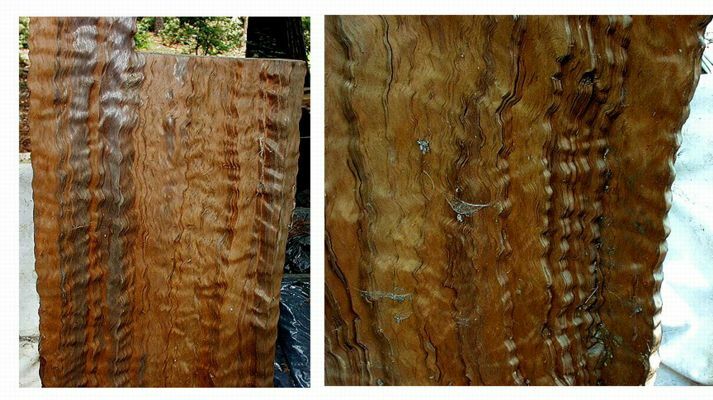 Large amount of western madrone that can be custom milled to your specs. Also have 1 inch madrone in various lengths and widths that is rough and green. The lumber can be kiln dried and planed for additional cost. Taylor Bros. Timber Co. Monmouth, Oregon 682-478-9430. Reclaimed Douglas Fir Flooring joist 1 5/8" thick X 11 1�4" wide and 18' long have 150 pieces and 50 pieces 10' long makes excellent flooring $1.50 linear foot. Super wide rough sawn white pine planking 1" thick 14" to 23" wide 8' to 12' lengths 2,500 sqft available sticker air dried 2 years.$5.00 sqft lower price is you buy all. Hand-Hewn Beams Many different sizes reclaimed from old Barns and Houses built in the 1800's over 1,000 linear ft available. $7.50 linear ft and up depending on size. Hand hewn and a couple of sawn hewn beams and logs from a 100 + year old barn. Various lengths and widths. Can email pictures and specific sizes. Located in NE Wisconsin. Contact Bob @ 920-373-5847 or email. Old Newman 600 24" planer w/ 2 sets of knives... needs work; 13" wide belt sander (3 phase); 36" cast iron band saw...needs work; 12" 5hp table saw (3 ph) w or w/o power feeder; Newton B-100 2 sp. boring mach... needs work; 6 head horizontal boring mach; Cincinnati 1hp dust collector. Must sell by 7/6/06. Best offer on any or all. Located in Ukiah, Ca. You haul. Questions or pictures email <mailto:ericnotfred@aol.com>ericnotfred@aol.com or leave mess at 707-462-5329. 6/4 & 8/4 Redwood, Cypress, or ??? .......... Clear stock. Green lumber is fine. Looking for high quality lumber for door and window stock. 6/4 & 8/4 Redwood, Cypress, Douglas Fir, or ? Clear stock. 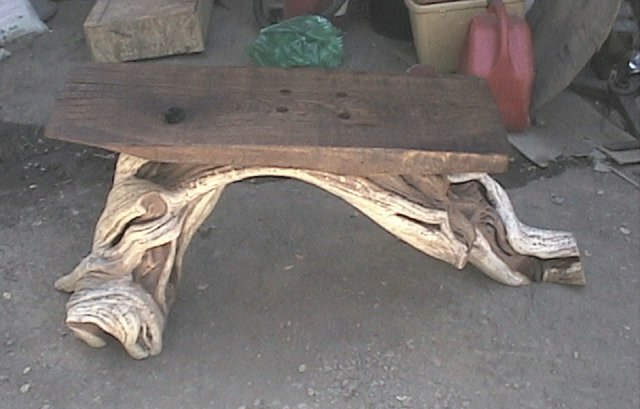 Call Brian at 707-964-0635 or >> Please Visit My Gallery to see what I'll do with it !! Black Oak Lumber .....These boards are sequential. The lumber has been drying for twelve months and should be plus or minus15% moisture. 20 pcs 5/4 x 10"w x16 ft -333 bd. ft.
15 pcs 5/4 x 10"w x 12 ft -187 bd. ft.
18 pcs 5/4 x 6 x12 ft-112 bd. ft. >>> TOTAL 632 bd. ft. @ $3 bd. ft.
7 pcs 5/4 x 10"w x 8 ft.-73 bd. ft.
26 pcs 5/4 x 6" x 8 ft.-130 bd. ft. TOTAL 203 bd. ft. @ $3 bd. ft.
Gauges for Oliver Model 80D Variety Bench Saw. 1. Oliver No. 1 Universal Gauge (pair). Of the pair of miter gauges, I desire at least the "left side" (the one without the chamfered body for blade clearance) as well as the connecting bridge. 2. Oliver Miter/Cutoff Gauge that was pinned to the sliding side of the Universal Table (with the 18" and 36" stop rods if available). 3. Oliver No. 135 Segment Gauge. Please advise availability, completeness, condition, and desired price. All reasonable offers considered. I am interested in locating a antique sawmill, husk, cariage, tracks, saws etc. 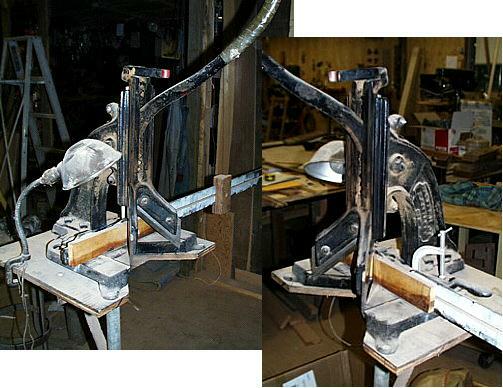 If you know of, or have any information regarding this type of machinery, please reply. yellow pine, white and red oak 1x6 to 1x12 up to 10x10 beams , air dried over 16 months small order or a truck load. e-mail: or call in the evening Bob, (501) 984-4199 Hot Springs, Arkansas. #2 various pieces of manzanita, oak, madrone, and others. All are special, and can be made into? sizes and grains vary, but all unique. Finding more every day. #3 one very special piece of manzanita. Breaks into separate branches three times and grows back together forming a large holder of ? on top. Already sanded and detailed, needs someone to create masterpiece art or ?. must see to appreciate.